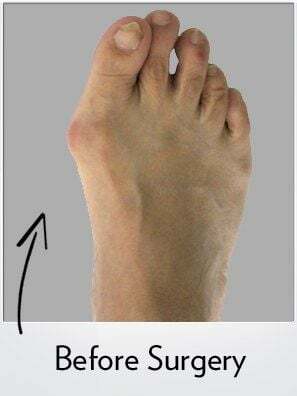 40 year old Female underwent Lapidus Bunionectomy for a painful large bunion on the right foot. The after picture is 6 months after surgery. This patient was allowed to bear weight on the foot after surgery in a small surgical shoe (no casting or crutches), and back in shoes by 6 weeks. 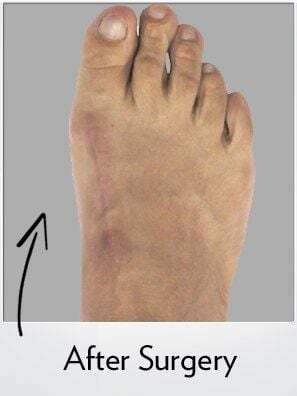 This Bunionplasty® procedure incision was placed on the top of the foot and is barely visible as Dr. Blitz used special plastic surgery techniques.